Sniffly baby? Snotty nosed toddler? Congested child? What if we told you there are natural products out there designed to help alleviate those pesky cold and flu symptoms? And what if we told you we’re giving them away? Thanks to Australian company, Snotty Noses, we are doing just that! 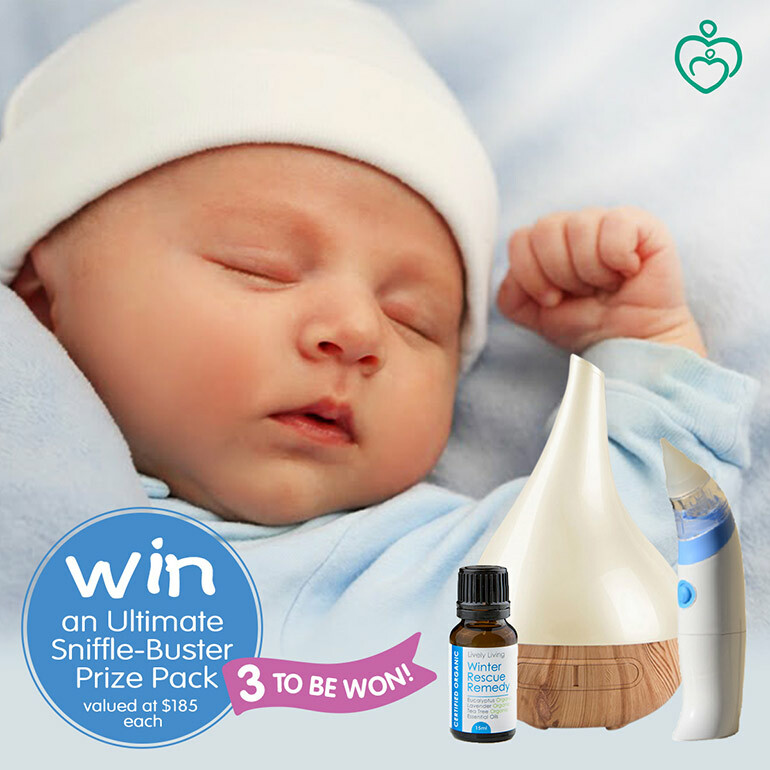 We’ve got three prize packs to give away featuring three must-have essentials when it comes to treating a child’s cold – a nasal aspirator, cool mist vaporiser and Winter Rescue Remedy essential oil. Hearing your child sniffle, snort, cough, cry and eventually call out, “Mummy, I’m sick” is, simply put, awful. No parent wants to watch their little one suffer, especially with sickness. So when Queensland mum Laura Klein’s little one came down with a horrendous cold, she went searching for a product that would help. She stumbled across The Snotty Nasal Aspirator and couldn’t believe how effective it was on snotty noses. Sure, the snot-sucking machine may look weird, but it’s absolutely amazing. Especially for little ones who haven’t mastered the fine art of blowing their noses yet. The device is battery operated, easy to use, suitable from birth and TGA approved. It works by gently suctioning the snot from your child’s nose in five seconds. Yep. Five seconds to congestion freedom. 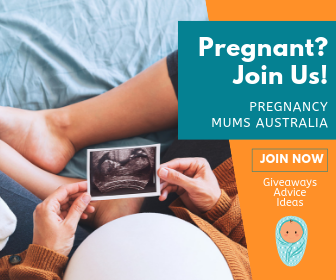 “After telling lots of friends about the “Snotty” for the next year or so, I started to think, ‘Every family in Australia needs one of these,‘” Laura tells Mum Central. And so, she started to sell them. And Aussie business Snotty Noses was born. Snot gone. What about congestion and coughs? Don’t worry – we’ve got you covered there too. In addition to the best-selling The Snotty Nose Aspirator, Laura stocks a whole range of natural solutions for congestion and colds, including the popular Aroma Bloom Cool Mist Vaporiser and a Winter Rescue Remedy Essential Oil which come in a price-saving package. The Aroma Bloom Cool Mist Vaporiser works by releasing an ultrasonic mist to purify and hydrate the dry winter air. There’s no heat, so it’s safe around children. It’s great for when your child is sick, helping to ease coughs and soothe sniffles. But it’s also incredibly helpful year round as it purifies the air with its built-in ioniser and keeps congestion at bay. 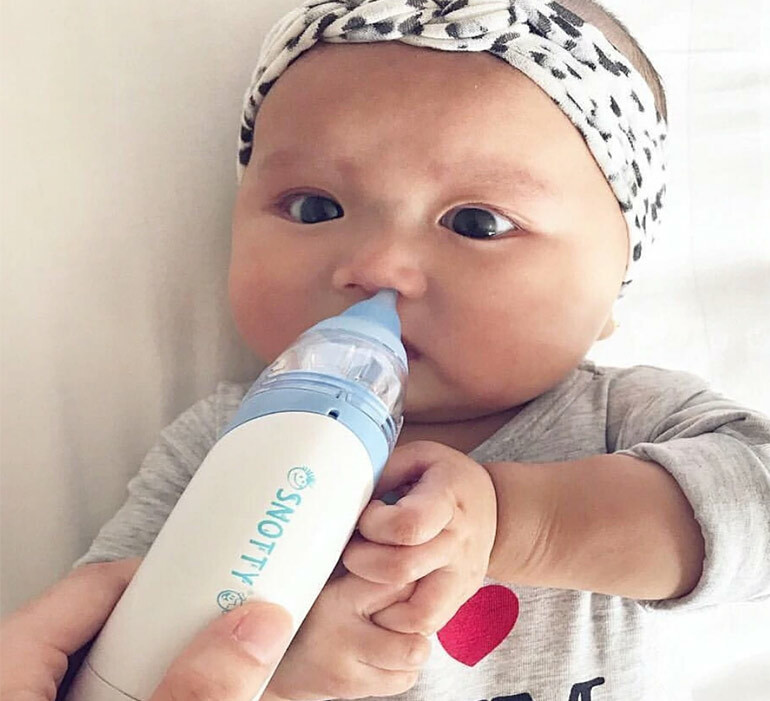 If your little one has allergies, we also recommend giving this cool mist vaporiser a try to see if it makes a difference. It has for Lauren, her little ones and hundreds of other Aussie families who have tried it. Pair the vaporiser with a bottle of Winter Rescue Remedy Essential Oil. The soothing blend of eucalyptus, tea tree and lavender help bust the germs and congestion naturally and assist in peaceful sleep. If you haven’t checked out Snotty Noses yet, then we highly recommend you do! The products are sanity-savers for parents and we are so excited to share these best-selling items with our Mum Central readers. You can pick up all three of these products through Snotty Noses for the special price of $177. 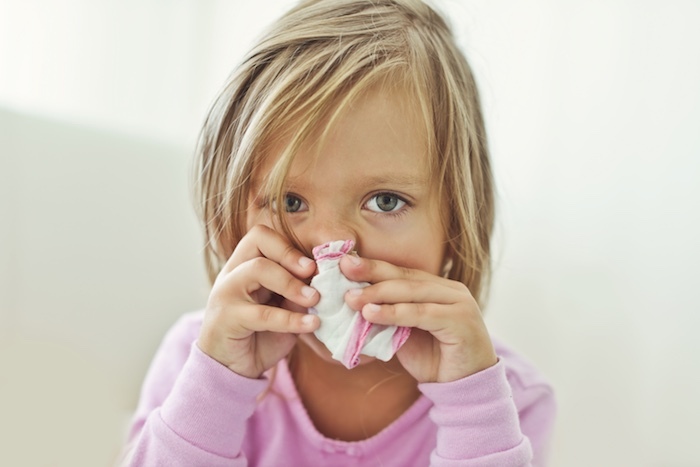 Whether your child is 4 months or 4 years, having these 3 cold and flu products on hand will ensure you’re prepared the next time a snotty nose, cold or congestion hits. 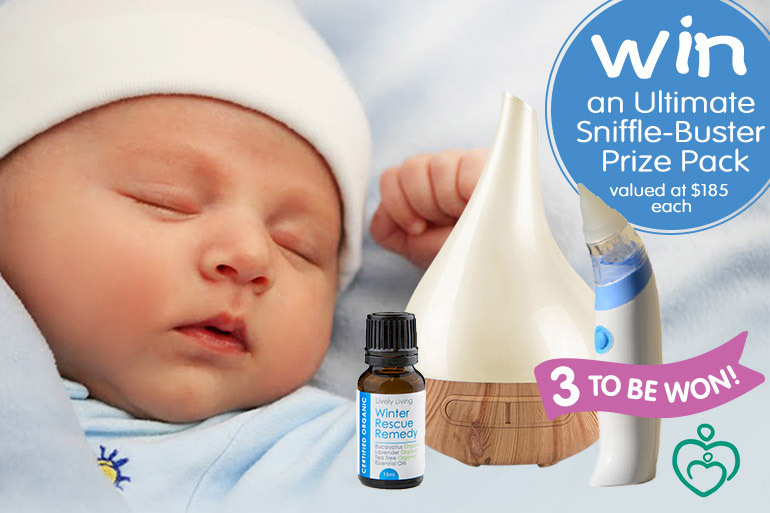 We’ve got 3 prize packs to give away both featuring The Snotty Nose Aspiration, Aroma Bloom Cool Mist Vaporiser and Winter Rescue Remedy Essential Oil, valued at $185 per prize package. 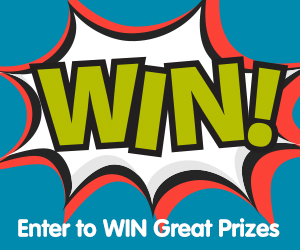 To enter, simply complete the entry form below and you’re in the running!